To commemorate the heroic battle fought and recount the chilling moments of valor and bravery of the gallant soldiers of the Indian armed forces, the Indian Army has set up a historical war museum in Jaisalmer. Inaugurated on 24 August by Lieutenant General Ashok Singh, General Officer Commanding in Chief, Southern Command, this unique war museum is surely a ‘must visit destination’ for all Indian and foreigner tourists coming to Jaisalmer. 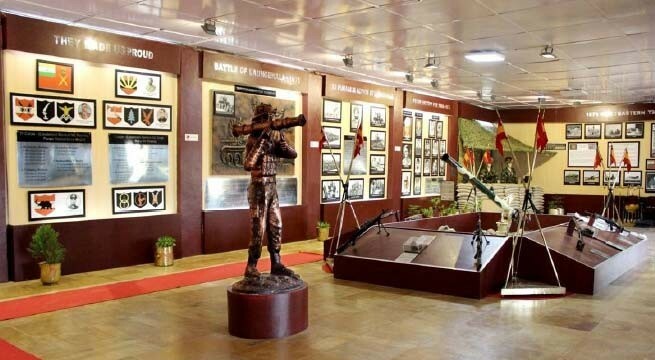 This War Museum’ is a tribute to all gallant soldiers who made the supreme sacrifice to defend the motherland. 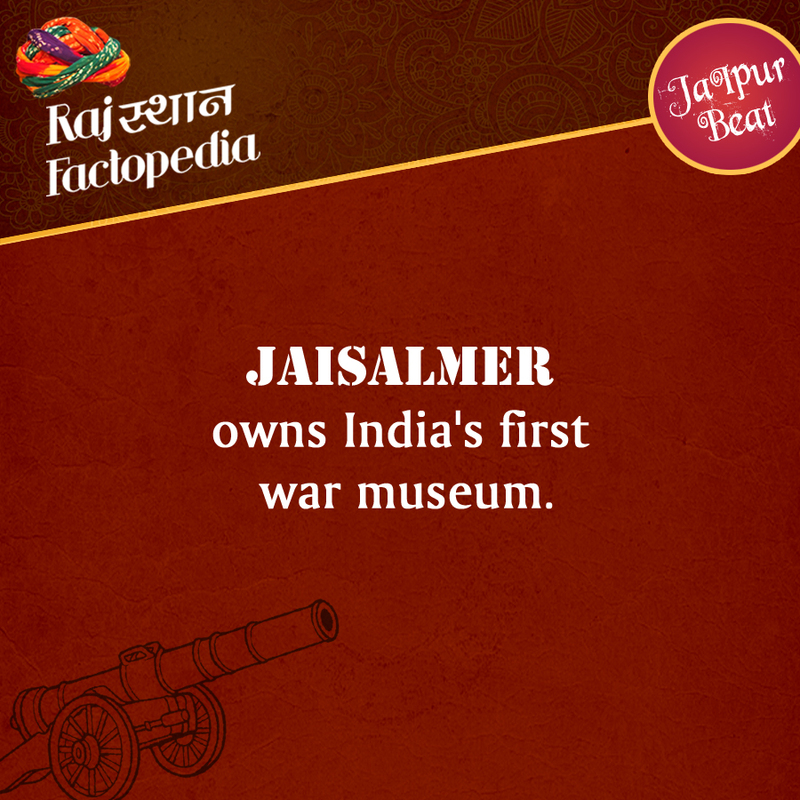 The War Museum is located 10 km from Jaisalmer on the Jaisalmer-Jodhpur Highway in the military station. 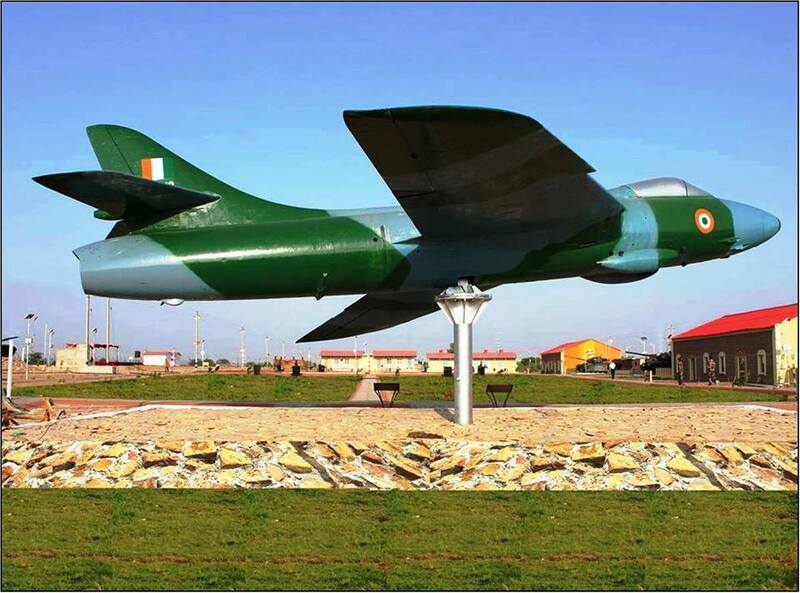 The Indian Air Force has presented a Hunter aircraft for the museum, which was used during the Battle for Laungewala in 1971 Indo-Pak War. The memorial also has a state of art audio visual theatre for screening the movies on the Battle of Laungewala. The memorial is open seven days a week and the entry is free for visitors.